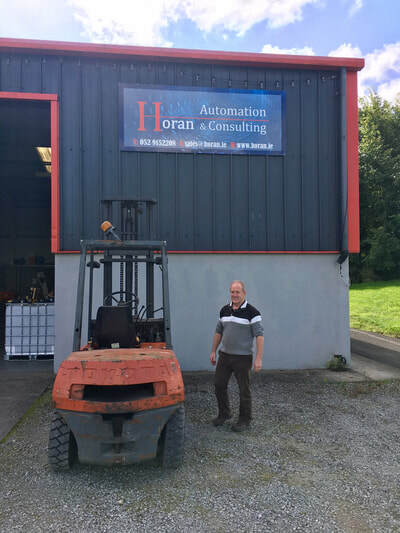 Nestled in the rural countryside of Drangan, in south Tipperary, Horan Automation and consulting is a booming industrial automation company, successfully trading within Ireland and Europe. There couldn’t be more of a contrast between the busy workday inside the business premises where staff deal with all nationalities of customers and the quiet surroundings outside where not even a car passing can be heard. However, the excellent communication network in the region makes trade from rural Tipperary possible along with the local business supports. Horan Automation is experiencing a period of exceptional growth in 2017 with their sales expected to quadruple by the end of the year. The business has already recruited a marketing manager this year and is currently advertising for the position of a PLC programming project manager. Gerry Horan set up the company over twenty years ago along with his wife Kathleen and attributes the growth to many strategic changes that were made within the business after the recession. 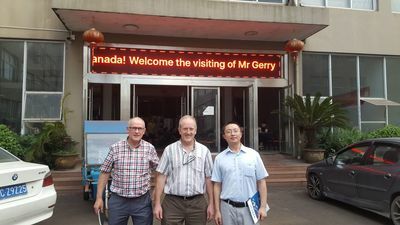 “I felt it was time for change” comments Mr. Horan “I needed to step back from the day to day running of the business and focus more on strategic management and planning.” Gerry’s decision to concentrate on making organisational changes has brought the business to the next level with exporting even becoming a reality. So what changes allow a company to quadruple its sales and enter the export market? “We took a microscopic look at the company and made the necessary changes. I had to put my pride aside and really look at the operations, the good the bad and the downright ugly”. Gerry comments. “We negotiated with new suppliers while maintaining our stringent quality policy which enabled us to get better value for ourselves and to pass on to our customers. We also concentrated heavily on marketing our products. I think knowledge is power, a new business plan with extensive market research showed us how we were performing and where we needed to get the business to”. Not only have sales increased but so too have customers. Horan Automation and Consulting have increased their customer base by over 50% in the space of a year. Mr. Horan credits branding the business consistently and showcasing their products in the professional manner in which they are built and installed, as the reason for the business’s success. As a visionary, Gerry Horan is able to look at the market trends and identify what his clients demand. 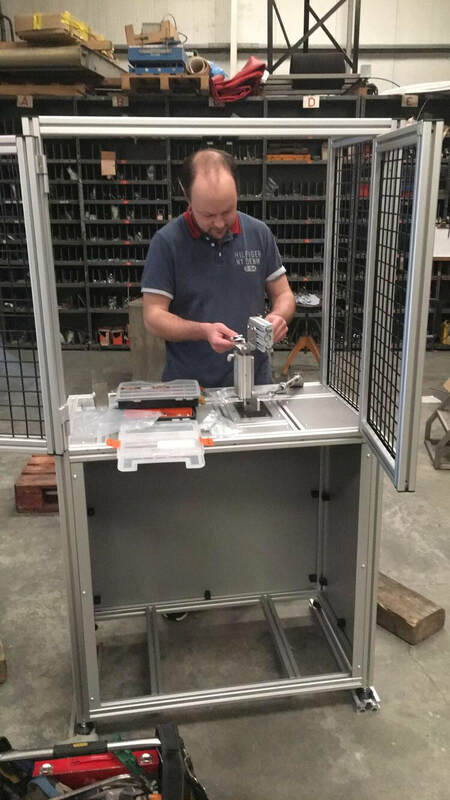 Not only can he assess new and existing industrial automation technology on his clients’ behalf, but he can also build customised automation solutions for his clients. Several buzz words and trends exist within the industrial automation sector at the moment including IoT (Internet of things) Cobots (Collaborative robots) and drones. Engineers are remaining cautious about introducing these into their production facilities due to the uncertainty around them. Rather than waiting to see how the market adopts such technologies, Horan Automation and Consulting is holding an information event in October to showcase the previously mentioned Cobots. The event will mean that engineers and managers can get up close with the technology and interact with it to aid their understanding. The event will be sponsored by Boston Scientific in Clonmel and the County Tipperary Chamber of Commerce. The cobots will also be sponsored by ABB robots and Universal robots. Mr. Horan’s strong leadership ability is certainly evident when you meet his team. They are a crew of motivated and highly capable staff who take ownership of their tasks within the business. It is apparent that for them work is a passion not a position. 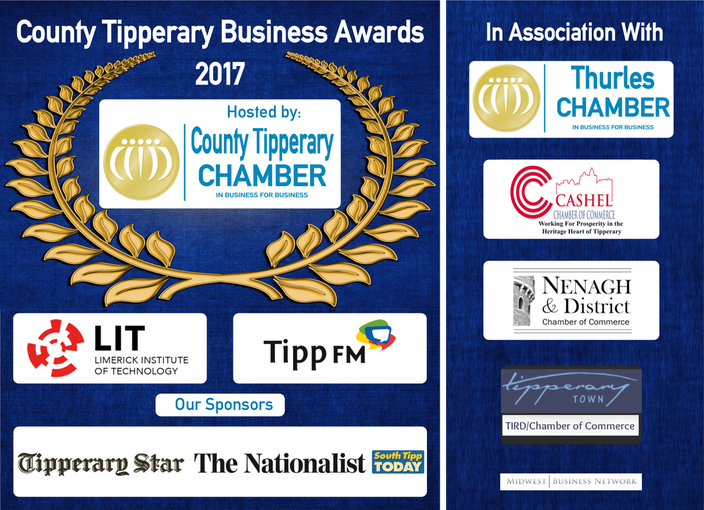 It is not difficult to appreciate why the business has been nominated for three awards in 2017; The Medtech Supplier Partner of the Year, the Irish Exporters Association Emerging Exporter and the County Tipperary Business Awards. What a wonderful gem Horan Automation and Consulting is, an unassuming company hiding in the countryside of South Tipperary yet bringing quality automation solutions to Ireland and Europe. Who knows what the future will hold for this ambitious leader in industrial automation but we certainly wish them the best of luck. If you are interested in attending the Cobot event on October 19th you can book a place with the County Tipperary Chamber of Commerce.